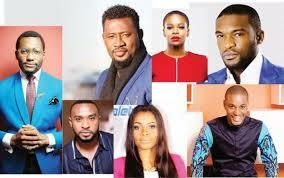 Three Nollywood films selected for Hollywood screening in U.S. – Royal Times of Nigeria. Organizers of the event said the screening begins on Friday evening with a red carpet and opening night screening of ‘UP NORTH at the historic Egyptian Theatre in Hollywood, California. On Saturday, ‘Nollywood in Hollywood’ moves to the Eileen Norris Cinema Theatre at the University of Southern California. The day kicks off with a panel discussion about current trends in ‘Nollywood’, followed by a screening of ‘LIONHEART’, the directorial debut of Nollywood actress Genevieve Nnaji, who also co-wrote and stars in the film.